The meaning of this beautiful flower, whose white and perfumed petals rest on the bright green leaves, is joy, purity and sincerity. 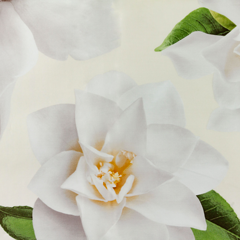 Signoria wanted to enhance the refinement of these beautiful white flowers of Gardenia by placing them on colored backgrounds. 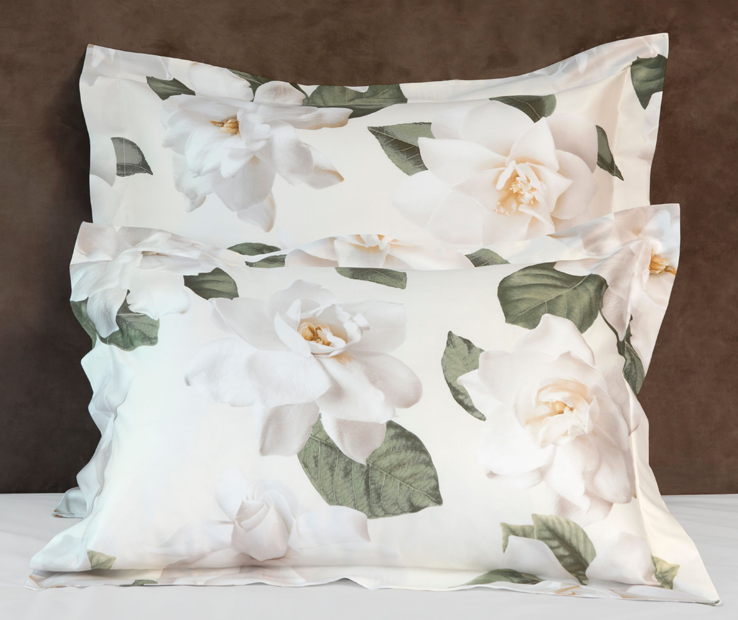 The luster and softness of cotton sateen give even more elegance to this flower that recalls tradition but with a touch of modernity. 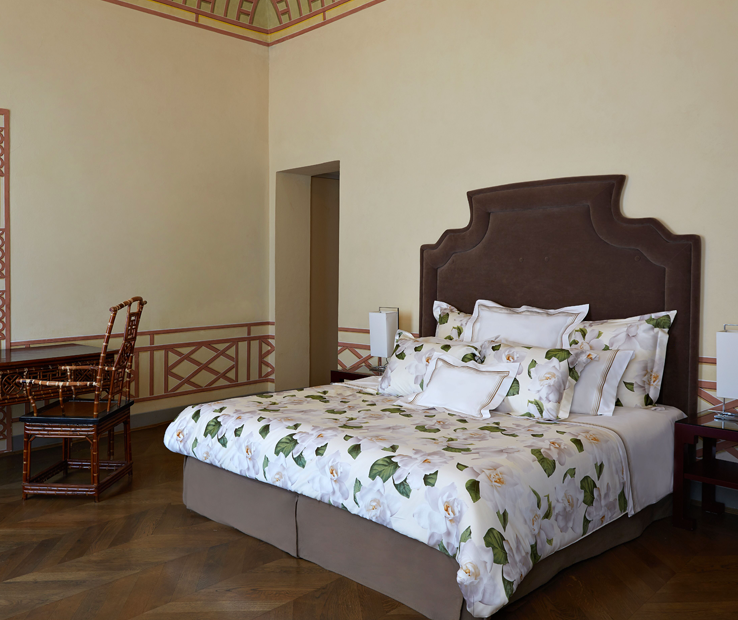 Available in Standard, Euro and King sizes, the Gardenia Shams have four flanges of 2 inches neatly finished with a simple hem. Made in Italy. The meaning of this beautiful flower, whose white and perfumed petals rest on the bright green leaves, is joy, purity and sincerity. Signoria wanted to enhance the refinement of these beautiful white flowers of Gardenia by placing them on colored backgrounds. 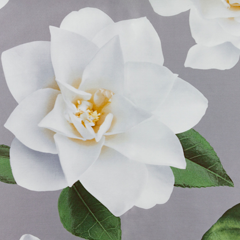 The luster and softness of cotton sateen give even more elegance to this flower that recalls tradition but with a touch of modernity. 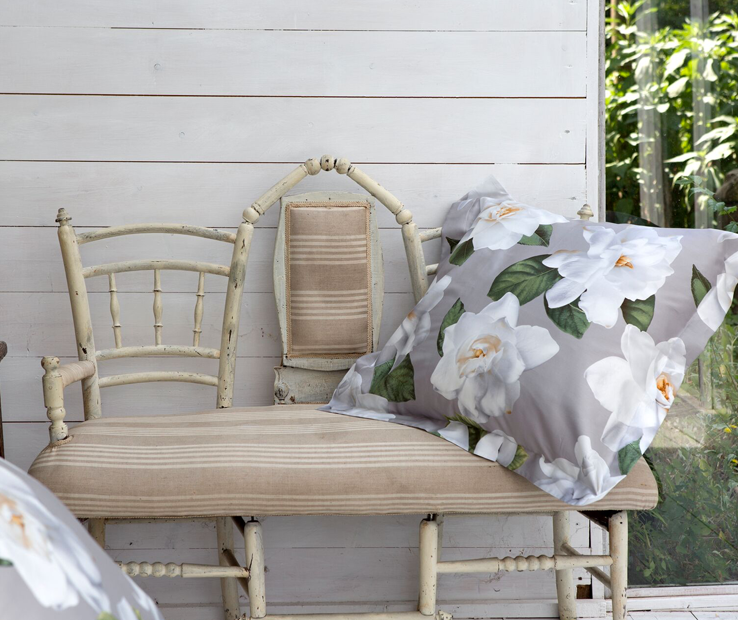 Available in Standard, Euro and King sizes, the Gardenia Shams have four flanges of 2 inches neatly finished with a simple hem. Made in Italy. The meaning of this beautiful flower, whose white and perfumed petals rest on the bright green leaves, is joy, purity and sincerity. Signoria wanted to enhance the refinement of these beautiful white flowers of Gardenia by placing them on colored backgrounds. 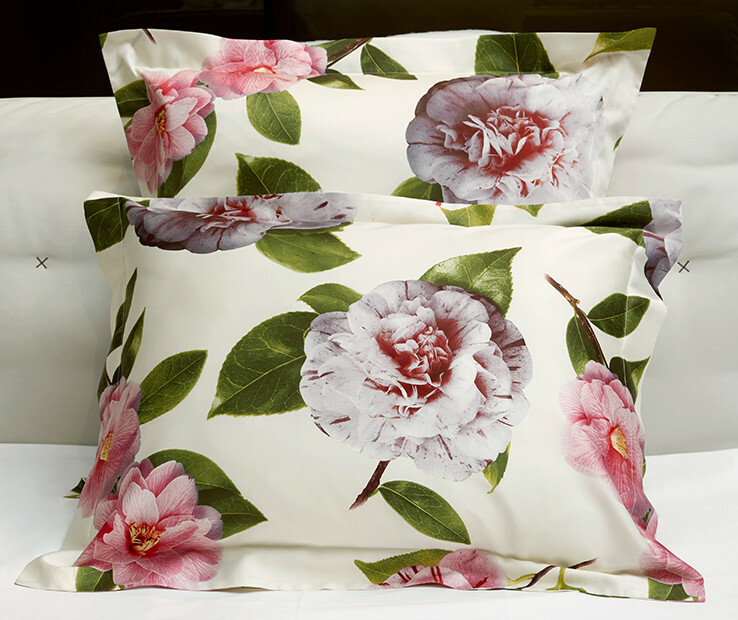 The luster and softness of cotton sateen give even more elegance to this flower that recalls tradition but with a touch of modernity. 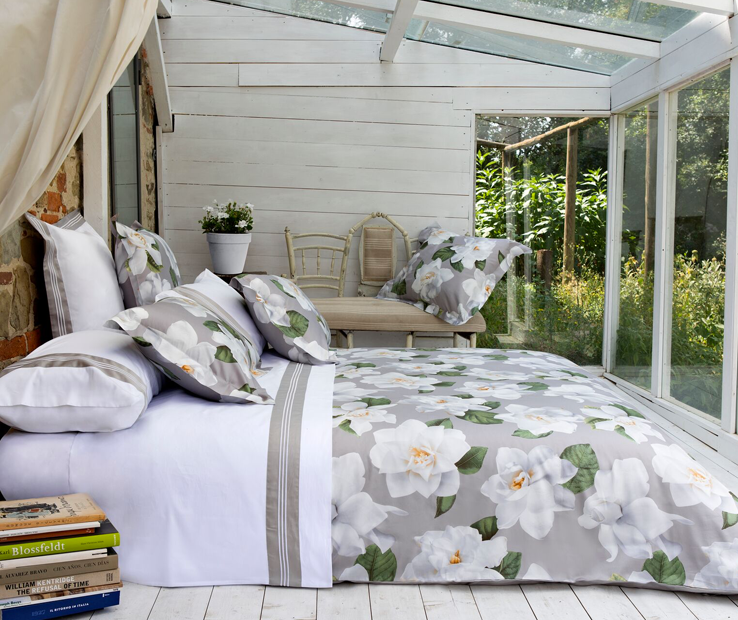 Available in Twin, Queen and King sizes and in two colors, the Gardenia duvet cover is backed with silky plain cotton sateen in coordinating color and is neatly finished with a simple hem. Buttons closure. Made in Italy. The Tulip has always been one of the most loved flowers in the world for the simplicity of its shapes and for the innumerable and colorful blooms. Signoria proposes this collection in two bright tones that will give energy to your home. 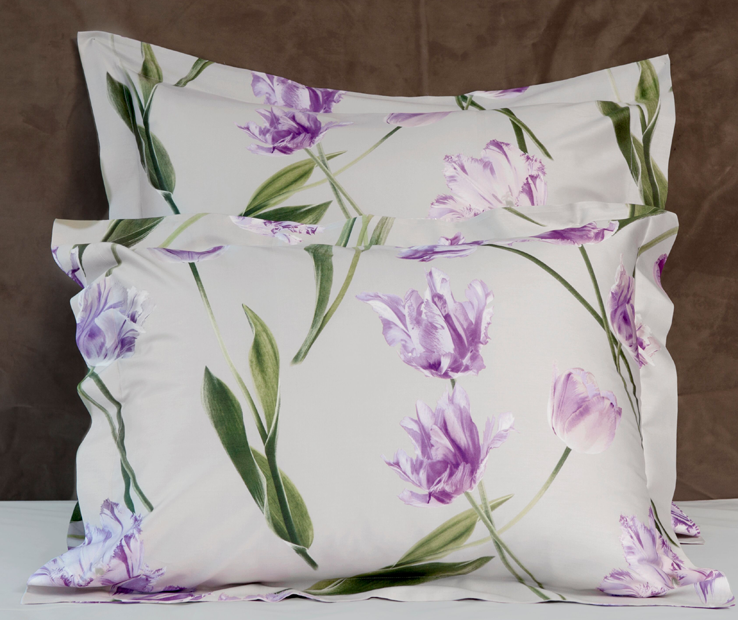 The print is made on soft and bright Egyptian combed cotton sateen 300 t.c and is made with traditional printing that guarantees an outstanding durability of the colors and the three-dimensional effect of the flowers. 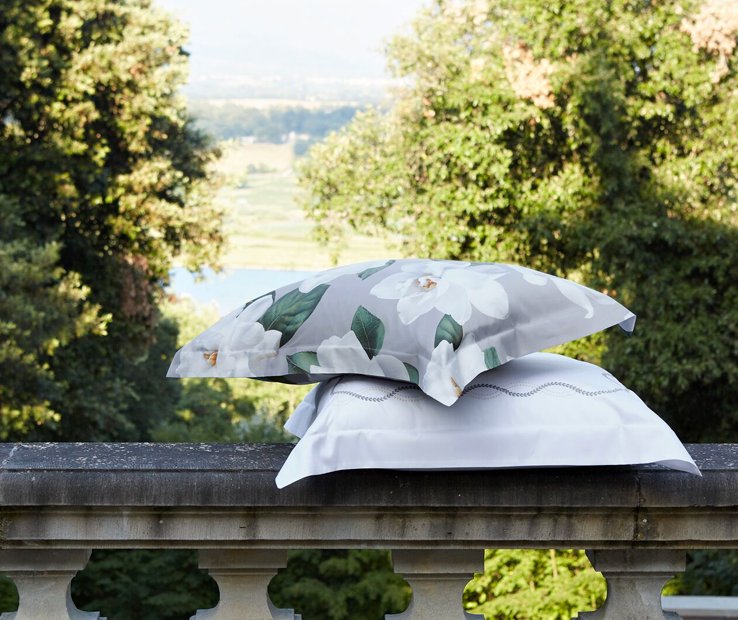 Available in Standard, Euro and King sizes, the Tulipano Shams have four flanges of 2 inches neatly finished with a simple hem. Made in Italy.